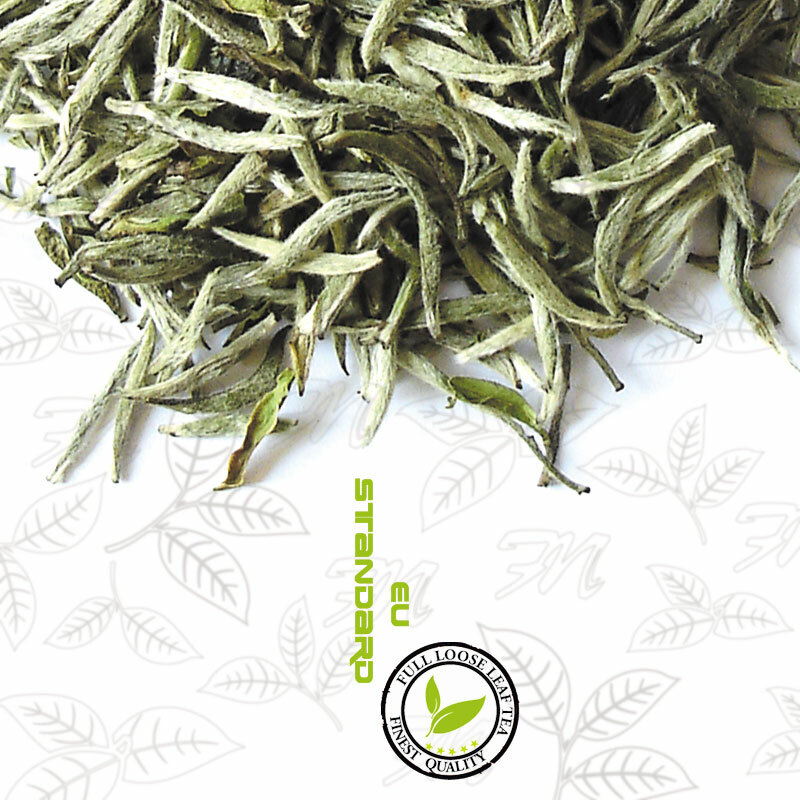 Silver tip white tea is produced at Fuding and Zhenghe areas in Fujian province.It is a top grade white tea. Single buds are plucked right when they fully develop and are ready to open. The beautifully acerose buds are covered with silvery hairs,hence the tea named "silver tip white tea".It's taken as "the beauty" in teas.Tea lovers describe it as "white like cloud, green like dream, pure like snow, aromatic like orchid". When infusing, every bud stands in the cup upright just like bamboo shoots after a spring rain. Silver tip white teaoffers a light yellow liquor with an extraordinary fresh aroma and refreshing taste. Medically white teais refreshing and is good for the stomach. It can also be used to dispel the heat.